ZAPDOC allows QA professionals to create test documentation … with just one click! Test Documentation development is the essential phase of any Quality Assurance process. For many Enterprises having test documentation is imperative in order to comply with various regulations. Enterprises are spending approximately 30% of overall time creating new written test cases and maintaining existing ones when application requirements, or test objectives change. Development and maintenance of test documentation is very time consuming and expensive, an initiative that involves greater headcount in the organization. This is becoming a problem for test automation processes where personnel that create test documentation and where the test automation teams are members of different groups don’t have clear and direct reporting. Pretty often there are times that test documentation developed with manual testing in mind has to be updated in order to correlate with test automation objectives, and to represent test automation coverage. This correlation discrepancy increases when test automation scripts are being updated due to architectural changes, but test documentation remains unchanged since there is not enough time or it has been lost in the change management communication. Another problem is ability of QA engineers to support Agile development in DevOps where they usually have fewer resources (one-man-show). QA in DevOps do not have enough time to develop proper test documentation, automate test cases and execute them. Not to mention that Agile development presumes rapid change in the application functionality that has to be reflected in the test coverage. Considering that the test automation is the higher priority, in order to save time, engineers often skip test documentation development altogether. As you can see with ZAPTEST used by just one engineer Execs will increase test automation ROI 3 times (i.e. $16,800 vs. $50,400)! Software test automation is an expensive initiative that involves specific skills and technologies that result in high investments in the tools and man-hours. Many organizations are reluctant to invest, due to lack of experience, bad past experience, and/or more often lack of measured ROI of test automation processes. Many IT executives [Execs] prefer to use low cost or open source test automation technologies [Tools] and are engaging consultants, who are promising these Execs test automation heaven at the lesser investment. In many cases test automation processes in these organizations are failing due to budget overages and low ROI. 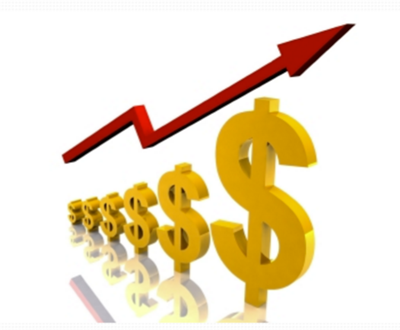 The main reason for this budget overage and low ROI is that the selected Tools require more man-hours to implement and to deliver testing results, therefore test scripts development; maintenance and execution are becoming unbearable overhead even at the lower hourly rates. ZAP MULTIRUN gives Test Automation Spider-man the Matrix super power to make sure that all application test environments are properly tested with one execution! In EUT-city there was only one building and the legendary Old-Runner was running stairs making sure there were no Bad-Villains disturbing tenants and destroying the building. Old-Runner was great at running around this building only in EUT-city. He knew every single stair and every room to precise detail of this building only in EUT-city. However, the Mayor of EUT-city, in order to compete with other cities and to attract more residents into EUT-city, started to build more buildings with modern layouts and new stairs. The Bad-Villains started to populate the new buildings in EUT-city because Old-Runner didn’t have enough time to run around all the buildings by running stairs. New buildings had unique and complicated layouts, making it difficult and timely for Old-Runner to learn all of the layouts while looking for the Bad-Villains. This approach allows the QA to have 100% QA time (vs 20%) and to always be ready for testing Just in Time (JIT) when the AUT is released. 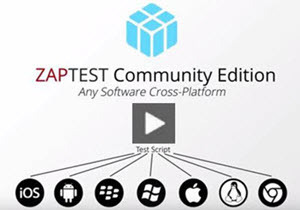 ZAPTEST Community Edition [ZAPFREE] is a no-cost, entry-level test automation technology for users interested in ad-hoc software testing cross-platform. It’s perfect for users that would like to start with test automation on Mobile, Web, Desktop and Agile (DevOps) environments; and for those who would like to have a quick and easy way to automate their test procedures.